The problem with renting from a corporate fleet over a private owner is the same as getting a taxi ride from a company or from your friend. The company is in the business of making a profit. They're going to charge you for every little thing you need. They've learned they can charge you for stopping at the convenience store. Your friend isn't going to charge you for this. It's the same with renting a motorhome or travel trailer from a private owner. In most cases you won't find them charging for dishes, pots, pans, bedding, water hoses, lawn chairs. I rent out my personal trailer just to help defer the costs of owning it. I like having all these things in my trailer so I can get in and go with the least amount of effort. I clean the sheets in between every rental so that they are clean when I want to use it. I have modified the trailer so that it has all the appliances and features that make it comfortable; tv, inverter, good batteries, solar panels, stereo, stock pile of dvd's, and more. Corporate rental companies are going to charge you for all these things because they CAN. I've seen companies charging $30 for a single lawn chair. This is mallarchy! You could buy a new one for that price. These are the superficial things. The most important element are the mechanical issues. 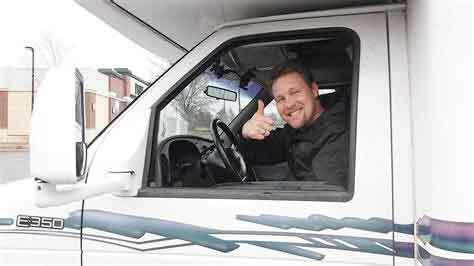 A private owner actually uses and drives his motorhome or RV. He knows when it needs a tune up or a wiper blade. Corporate units go ignored for years because NOBODY CARES. I know of one man that rented a motorhome and on his trip, it started to rain. Well, the RV leaked so bad he had video tape of the torrents of water streamimg into the rig. TORRENTS! Private RV rentals will eventually put dealers out of business as Uber put taxi companies out of business. 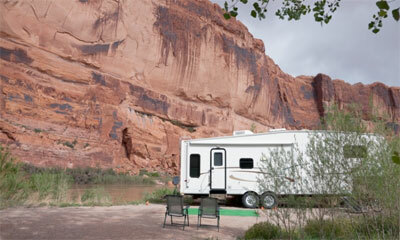 Private 'RV Share' rentals are cheap. and better... and Near you! We've made it so easy for owners to list their RV and rent it to renters that everyone who owns an RV will soon be listing it with us.